RALPH PUCCI resident sculptor Michael Evert holds court in the mannequin production factory of the company’s Flatiron headquarters and is responsible for creating the first 3D iteration of any piece manufactured in-house. 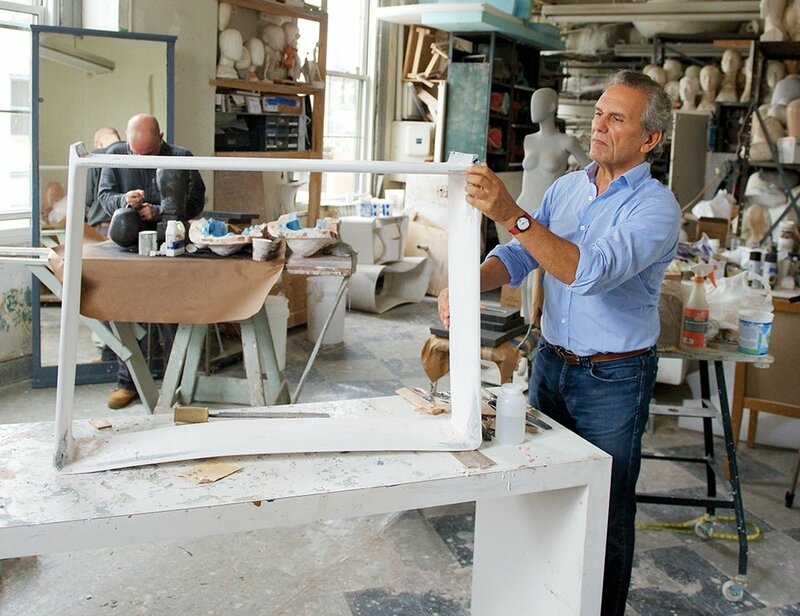 Now, in addition to sculpting mannequin forms, Evert has recently begun to work with RALPH PUCCI artists to create furniture using the same techniques honed in thirty years of hand-crafting mannequins and bespoke portrait commissions. The following images offer a behind-the-scenes look into the artistry and craftsmanship of these RALPH PUCCI collections. For John Koga, known for his abstract and modernist sculptures, working with RALPH PUCCI was an opportunity to experiment with lighting and furniture. 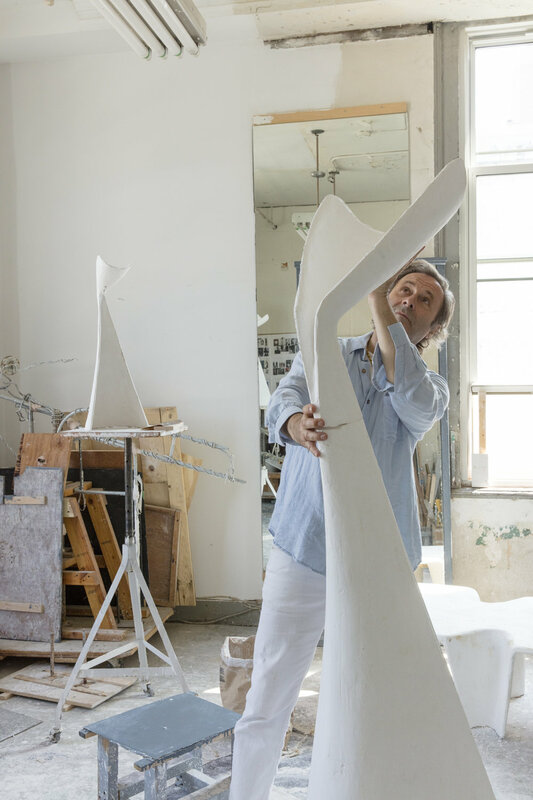 Koga uses plaster to craft his sculptures and wanted to maintain a similar aesthetic for his first design collection, so RALPH PUCCI developed a proprietary plasterglass material which presents the raw appearance of plaster but offers the durability of resin. Ralph Pucci had long known that the flexible yet resilient resin used to produce mannequins had ideal qualities for furniture and the studio initially experimented with a limited production of chairs. A few years later, Pucci approached Patrick Naggar about a collaboration thinking the designer’s architectural aesthetic would be a perfect fit for RALPH PUCCI’s first outdoor collection. Michael Evert molds clay for a portrait of Jack Lenor Larsen. Evert has sculpted luminaries such as model Christy Turlington, fashion designer Diane Von Furstenburg, and musician Roy Haynes, among others. Paul Mathieu is currently in the studio crafting new furnishings that will debut at RALPH PUCCI in 2019.